Last week we were fortunate to have our friends Kate and Chris honeymooning on Maui. When we had them over to the cottage for dinner one night, I wanted to serve something tropical and island style. After flipping through my desserts binder of torn-out recipes, I instantly decided upon a coconut rum cake that was featured in a 2007 issue of Gourmet Magazine (perhaps the most not-vegan friendly food magazine of them all …). It took a bit of tweaking, but this cake turned out beautifully. It was also deceptively easy to make, which only adds to the love. For the coconut cream, I stuck a can of full fat coconut milk in the refrigerator overnight and skimmed the cream that rose to top out of the can. You can also just stick the can in the fridge in the morning if you are planning on making this later in the day. 1. Preheat oven to 350F. Lightly oil and flour a 9” round cake pan. 2. Whisk together the flour, baking powder, and salt. In a separate bowl, whisk together the soy yogurt, oil, and sugar. Gradually whisk in the flour mixture until just combined. Pour into the cake pan and tap pan on counter to expel air bubbles. 3. Bake cake until golden brown and the cake starts to pull away from the side of the pan, about 45-50 minutes. Cool in pan in the oven for 10 minutes. Invert cake onto a rack and cool for 10 minutes more. Generously brush the top and side of the warm cake with the coconut cream, allowing it to soak in completely before brushing on more. Cool cake completely. 4. To make the icing, beat together the Tofutti, coconut cream, rum, and vanilla until smooth, and then beat in the confectioners sugar. The icing should be smooth and a little runny. Smooth the icing over the cake, allowing it to drip over the side. 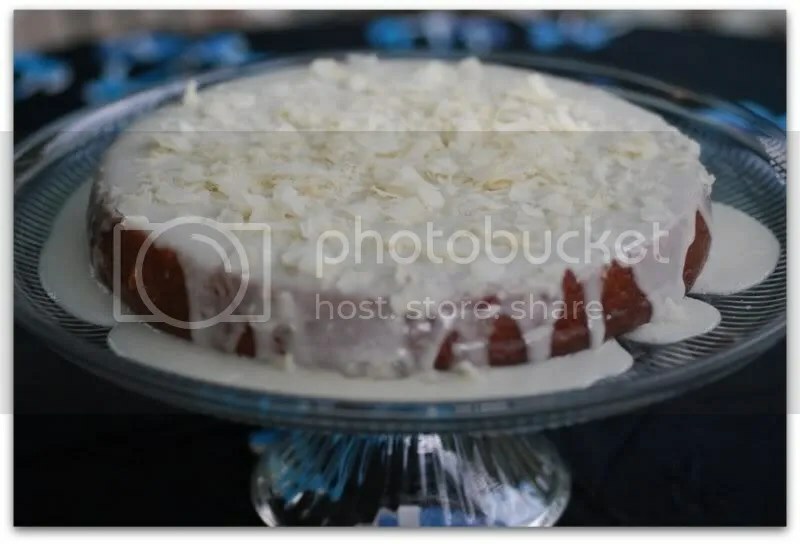 Top with coconut flakes. I love cooking/food magazines too! When you have been a vegan for a while, you get pretty adept at “veganizing” the recipes. 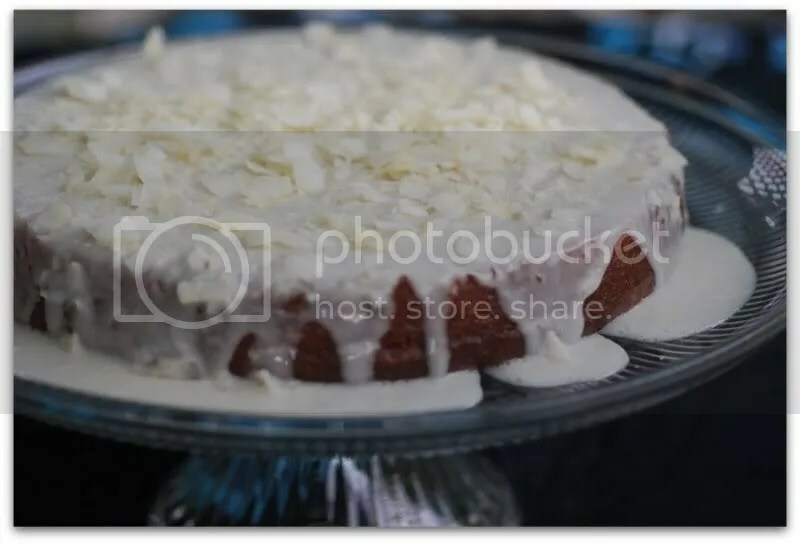 Although, I don’t know that I would have tackled this coconut rum cake–way to go! It was delicious!!! Thanks again gail, we had a fabulous time! Courtney – I am sure that you have tackled equally “not vegan” seeming recipes! Kate – thanks for the back up! It was great seeing you guys! DELICIOUS LOOKING CAKE. I’M DEFINATELY GOING TO HAVE TO TRY THIS ONE.